He's been a blood sucker longer than Carson Daily. Back in the book blogging game, I return - finally - with my Dracula review. A few preliminary, non-educational things before I get into the meat of this review. One, the book's author Bram Stoker's first name is short for Abraham...I thought thought that was cool. Good stuff, Abe. Two, in his movie, Mel Brooks follows the basic plot pretty closely; whereas Young Frankenstein - like many Frankenstein movies - alters Mary Shelley's plot, Dracula: Dead and Loving It honors Stoker well. One of the initial aspects of Dracula that first strikes you is the medium in which it is delivered. Stoker chose to write it limited, first-person in the from of letters, diary entries, newspaper articles, telegrams and other various methods of communication in 19th century Europe. Novelty aside, this method works as the truly scientific nature of the piece is conveyed more affectively. As the story evolves, the reader reflects on hypotheses laid out and conclusions drawn; Stoker lets you think that you are reading a scientific journal written by some pretty educated dudes. Also, the story's climax is told by a character who is watching the action from a distance; it's odd to have a play-by-play account of a battle or conversation, but it works for Stoker. A major character in the novel is Mina Harker, the wife of a solicitor (British talk for lawyer) and recent victim of a vampire's bite. All other characters - including the legendary Van Helsing - worship her; yet, they continually demean her. I understand women were not held in the highest regard back then, but they give her so many backhanded compliments, it's silly. Every time she comes up with a brilliant idea (that the men, for all their Ph.D's, were not able to devise), they are shocked. I think she bailed their asses out at least six times in the novel. Aside from offering noble chivalry towards Mina, the nicest compliment ever paid by them is saying she has "a man's brain." Nice. I'd like to think Stoker was a feminist and proved a point by making one of his protagonists a woman. Aside from rampant chauvinism, another thought-provoking aspect is the appearance of religious symbol. By looking at standard urban legends, it is commonly held that vampires are kept at bay by crucifixes, holy water, rosary beads, etc. Chief vampire slayer in Dracula, the aforementioned Van Helsing, uses all of these as tools against the count. An addition that I wasn't aware of, but feel probably was in that movie Bram Stoker's Dracula, was the inclusion of the Eucharist as a (primary) tool in defeating vampires. The tone of the play dripped of religious fervor. I suppose when one is faced with the possibility of walking the earth for centuries after their earthly death, feasting on the flesh of humans, he or she may start praying a little bit more than before. What struck me as interesting was how often doctors Van Helsing and (principle character) John Seward referred to God. I suppose this is set in a time when the church and medicine were not strictly at war with each other, but it still seemed odd for a doctor to include in his medical notes a phrase like "If only the good Lord would intervene." On top of the religious symbol was the awesome gross-out factor. The bloody details Stoker used to describe the gruesome accounts of a vampires death were stomach churning. If you don't like term "decapitated the head and filled the loose cranium with garlic" then maybe Dracula isn't for you. Character development is great, though. Aside from Mina and Van Helsing, Seward really steals the show. The owner of a sanitarium in London, Seward falls for the destined for vampire-hood Lucy; after he is romantically rebuffed by her, Seward still remains her devoted friend and tries to cure her of the ailment....of being a vampire. When Mina is sick or Lucy dies, Seward displays deep affection and grief; his diary entries are the darkest and show the kind of emotion only the owner of a nut house can possess. Additionally, fascinating in of himself is the titled charactered, Dracula. 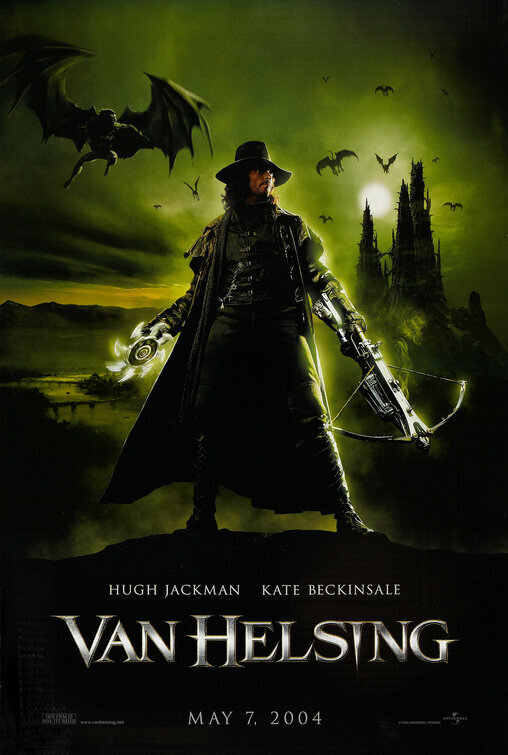 Crafty and evil, with the strength of an Irish setter (it's a strong dog, I swear), Van Helsing characterizes the count as one with the brain of a child. His justification lies in the fact that Dracula can only focus on one prey at a time. Although (as demonstrated by my weak explanation) I never fully grasped Van Helsing's characterization, it gives more depth to Dracula's character than is typically alloted. A criticism I will make, though, is that Stoker painstakingly describes every last detail and development. The events leading up to the finale took seven chapters and roughly 150 pages; Stoker could have summed up everything in two chapters, 30 pages. I don't mind long books; as you can see by my Gone With the Wind (1,000 pages) review, sometimes I love them. The pages just have to be meaningful, and this one is drawn out. Another critique is in the form of a lame post-script written by Mina's boring, yet devoted husband Jonathan Harker. Here, Harker wraps up the story seven years later. This includes unnecessary information about some characters getting married, a trip back to Transylvania and the naming of the Harker's first child. It's sappy, trite and screams of a Hollywood ending. I know Stoker wrote this years before Tinseltown, but it seemed as if he knew some dumb kid would want to know what happened to Van Helsing after the vampires. As a whole, Dracula is a good read that sometimes is long-winded and sappy. It does scare at times, but the fear is based on the psychology of it all, more than boogie-men, or vampires, rather. Who knows when I'll finish this, but the next book for me is the first one I've never heard of, The Good Soldier Svjek (#96)by Jaroslav Hasek. Oh boy. And, a Pulp Fiction review should be out soon. I love Bram Stoker's Dracula. We did a ballet based on it for two years back in the day, it was so much fun.